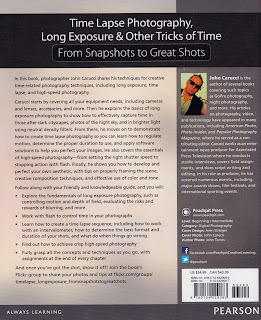 When I received the review copy from Pearson / Peachpit Press I was quit exited for two reasons; long exposure photography is one of my favourite photography genres and also the opportunity for working through another high-quality and well structured book from the globally popular Snapshots to Great Shots photography book series. 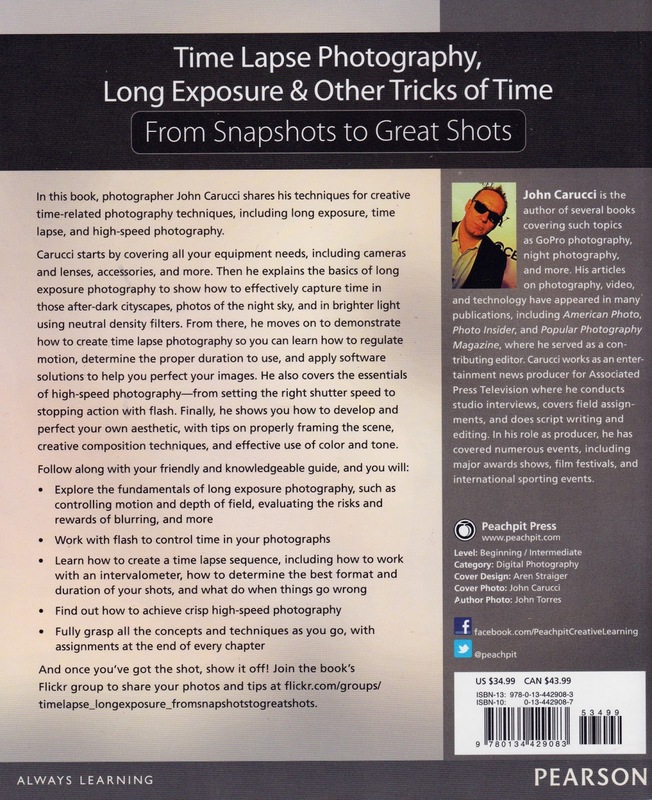 The book is essentially about understanding and taking control of your camera's shutter speed, light conditions and the related exposure settings for creating great looking long exposure / time-related photographs. This well-illustrated book should provide the new / amateur DSLR photographer with a good understanding of long exposure photography in terms of required camera gear, exposure settings and various techniques for taking great shots (even with entry-level DSLR camera gear). 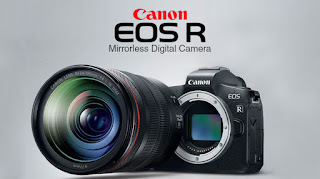 Expect detailed explanations and demonstrations of long exposure / time-lapse photography with various images illustrating the required long exposure effect (with and without flash). All images are supplemented with detailed EXIF data: Aperture / ISO / Shutter Speed information from in-camera settings together with selected lens focal length. Like all other books in the From Snapshots to Great Shots series the reader will be guided through various camera settings / photographic requirements for advancing personal knowledge and skills to master long exposures as a very creative photographic genre. 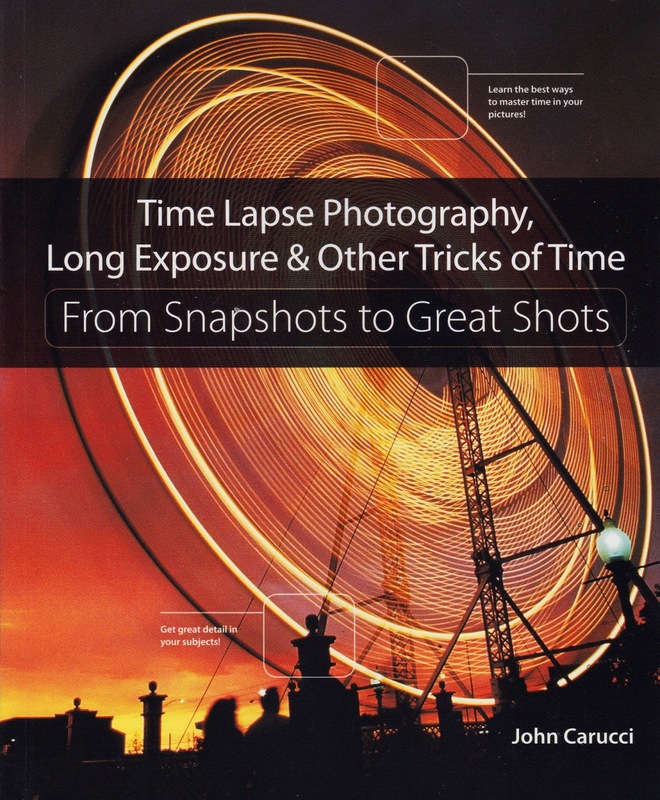 The 200+ pages of the Time Lapse Photography, Long Exposure & Other Tricks of Time 'Snapshots to Great Shots' are well organized with the author's photographic knowledge, skills and many practical camera / photography demonstrations. Each chapter is a well-structured combination of camera settings, images and detailed explanations and demonstration on how to achieve similar shots. I will recommend this book to beginner / enthusiast photographers who wants to learn more about the required camera equipment, the various skills and techniques for getting a good introduction into long exposure / time lapse photography. To complement any long exposure photography learning I will recommend any beginner to spend as much time as possible practicing long exposure photography techniques -be aware of the changing light conditions and experiment at night, in the golden hours and with various other creative applications. Also, have as look at my Long Exposure Photography article for my personal application tips and personal images taken with both full frame and APSC-crop bodies.